I greet with affection these five priest brothers who will shortly be receiving Episcopal Ordination: Archbishop Savio Hon Tai-Fai, Archbishop Marcello Bartolucci, Archbishop Celso Morga Iruzubieta, Archbishop Antonio Guido Filipazzi and Archbishop Edgar Peña Parra. I would like to express to them my gratitude and the Church’s for the service they have carried out to this moment with generosity and dedication. I would also like to ask you to accompany them with your prayers in the ministry in the Roman Curia and in the Papal Representations, to which they have been called as Successors of the Apostles, so that the Holy Spirit may always enlighten and guide them in the Lord’s harvest. “The harvest is plentiful, but the labourers are few; pray therefore the Lord of the harvest to send out labourers into his harvest” (Lk 10:2). This Gospel passage in today’s Mass touches us particularly closely at this moment. It is the moment of mission: the Lord is sending you, dear friends, into his harvest. You must cooperate in this task of which the Prophet Isaiah speaks in the First Reading: “The Lord has anointed me to bring good tidings to the afflicted; he has sent me to bind up the brokenhearted” (Is 61:1). This is the labour for the harvest in the field of God, in the field of human history: to bring to men and women the light of truth, to set them free from the lack of truth, which is the true sorrow, the true impoverishment of man. It means bringing them the glad tidings that are not only words but an event: God himself has come among us. He takes us by the hand, he uplifts us toward himself and thus the broken heart is healed. Let us thank the Lord for sending out labourers into the harvest of the world’s history. Let us give thanks because he is sending you, because you have said “yes” and at this moment are about to say once again your “yes” to being labourers of the Lord for humankind. “The harvest is abundant” — today too, on this very day. Even though it may seem that large parts of the modern world, large numbers of our contemporaries turn their backs on God and consider faith something of the past — yet there is a yearning that justice, love and peace will be established at last, that poverty and suffering will be surmounted and that human beings will find joy. The longing for all these things is present in the contemporary world, the longing for what is great and what is good. It is a yearning for the Redeemer, for God himself, even when he is denied. At this very moment the work in God’s field is particularly pressing and at this very moment we feel particularly acutely the truth of Jesus’ words: “The labourers are few”. At the same time the Lord makes us realize that it cannot be merely we ourselves who send labourers to his harvest; that it is not a question of management or of our own organizational ability. God alone can send out labourers to the field of his harvest. Yet he wants to send them through the door of our prayers. We can cooperate for the coming of labourers but we can only do so by cooperating with God. So it is that this moment of thanksgiving for the realization of a missionary mandate is, in a special way, also a moment of prayer: Lord, send labourers to your harvest! Open hearts to your call! Do not let our supplication be in vain! Today’s Liturgy thus gives us two definitions of your mission as Bishops, as priests of Jesus Christ: to be labourers in the harvest of the world’s history with the duty of healing by opening the doors of the world to the lordship of God, so that God’s will may be done on earth as it is in Heaven. And then our ministry is described as cooperation in the mission of Jesus Christ, as participation in the gift of the Holy Spirit, given to him as the Messiah, as the Son anointed by God. The Letter to the Hebrews, the Second Reading, further completes this, starting with the image of the High Priest of the order of Melchizedek who is a mysterious reference to Christ, the true High Priest, the King of Peace and Justice. Yet I would also like to say something about how this great task should be carried out in practice — about what it actually demands of us. 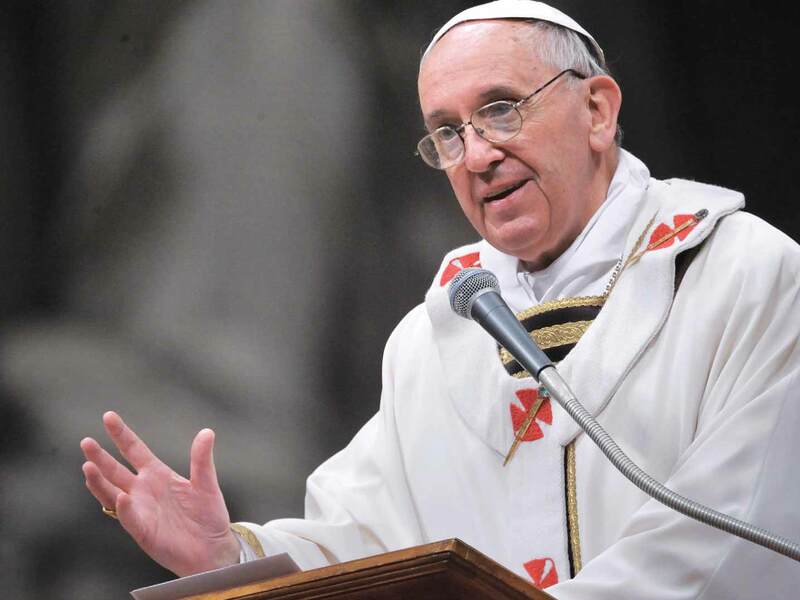 This year, for the Week of Prayer for Christian Unity the Christian Communities of Jerusalem chose the words of the Acts of the Apostles in which St Luke chose to describe — in a prescriptive way — what the fundamental elements of Christian life are in the communion of the Church of Jesus Christ. And this is what he says: “They devoted themselves to the Apostles’ teaching, to the breaking of bread and the prayers” (Acts 2:42). At the same time in these four structural elements of the Church’s existence, the essential task of her Pastors is also described. All four elements are held together by the words: “they devoted themselves” — “erant perseverantes”: the Latin Bible translates in this way the Greek term: ???????????? : perseverance, devotion is part of the essence of being Christian and is fundamental for the task of Pastors, of labourers in the Lord’s harvest. The Pastor must not be a marsh reed that bends in the wind, a servant of the spirit of the times. Being undaunted hence brave enough to go against current trends is an essential part of the Pastor’s task. He must not be a reed but on the contrary — in accordance with the image of the first Psalm – he must be like a tree with deep roots, sound and firmly-established. This has nothing to do with rigidity or inflexibility. Only where there is stability is there also growth. Cardinal Newman, whose way through life was marked by three conversions, said that living implies transforming oneself. Yet his three conversions and the transformations that occurred in them are one, consistent journey: the journey of obedience to the truth, to God; the journey of true continuity which in this very way brings progress. “Devote yourselves to the Apostles’ teaching” — faith has a practical content. It is not a vague spirituality, an undefinable sensation of transcendence. God has acted and he himself has spoken. He has really done something and has really said something. Of course, in the first place faith is an entrustment of oneself to God, a living relationship with him. But God to whom we entrust ourselves has a face and has given us his Word. We may count on the permanence of his Word. The ancient Church summed up the essential core of the Apostles’ teaching in the so-called Regula fidei, which is fundamentally identical to the Professions of Faith. This is the reliable foundation on which we Christians still base ourselves today. It is the firm foundation on which we can build the house of our faith, of our life (cf. Mt 7:24ff.). And once again, the permanence and definitiveness of what we believe does not mean rigidity. John of the Cross compared the world of faith to a mine in which we discover ever new treasures — treasures in which the one faith is developed, the profession of God who shows himself in Christ. As Pastors of the Church we live this faith and thus can also proclaim it as the glad message which assures us of God’s love, and that we are loved by him. St Luke calls the second pillar of ecclesial life: ???????? — communio. After the Second Vatican Council, this term indeed became a central word of theology and of preaching, because it expresses all the dimensions of our being as Christians and of ecclesial life. We do not know exactly what Luke wanted to say with this word in this text. We can therefore calmly understand it on the basis of the global context of the New Testament and of the Apostolic Tradition. St John gives a first important definition of communio at the beginning of his First Letter: What we have seen and heard, what we have touched with our hands we proclaim to you, so that you too may have communio with us. And our communio is communion with the Father and with his Son, Jesus Christ (cf. 1 Jn 1:1-4). God made himself visible and tangible to us and thus created a real communion with himself. We enter into this communion through believing and living together with those who have touched him. With them and through them, we ourselves, in a certain way, see him and touch the God who made himself close. Here, therefore, the horizontal and vertical dimensions are inseparably interwoven. By being in communion with the Apostles, by being in their faith, we ourselves are in contact with the living God. Dear friends, this is the purpose of the ministry of Bishops: that this chain of communion be not broken. This is the essence of the Apostolic Succession: to preserve communion with those who have encountered the Lord in a visible and tangible way and thus to keep Heaven open, the presence of God in our midst. It is only through communion with the Successors of the Apostles that we are also in touch with God incarnate. But the opposite is also true: only thanks to communion with God, only thanks to communion with Jesus Christ does this chain of witnesses remain unbroken. One is never a Bishop on one’s own, the Second Vatican Council tells us, but always and only in the College of Bishops. Moreover the latter cannot be enclosed in the time of a single generation. The interweaving of all generations, the living Church of every epoch, is part of collegiality. Dear Confreres, it is your mission to preserve this Catholic communion. You know that the Lord made St Peter and his Successors responsible for being the centre of this communion, the guarantors of abiding fully in the apostolic communion and of his faith. Offer your help in order to keep alive joy in the great unity of the Church, in the communion of all places and times, in the communion of faith that embraces Heaven and earth. May you live communio and live with your heart, day after day, its deepest centre in that sacred moment in which the Lord gives himself in holy Communion. With this we have already reached the next fundamental element of ecclesial life that St Luke mentioned: the breaking of the bread. The Evangelist’s gaze, at this point, turns back to the disciples at Emmaus, who recognized the Lord in the gesture of breaking the bread. 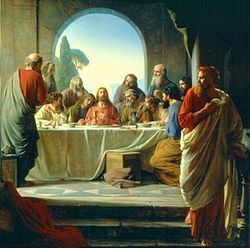 And from here his gaze looks further back to the hour of the Last Supper when Jesus, in breaking the bread, distributed himself, made himself bread for us and anticipated his death and his Resurrection. Breaking the Bread — the blessed Eucharist is the centre of the Church and must be the centre of our being as Christians and of our priestly life. The Lord gives himself to us. The Risen One enters the depths of my being and wants to transform me to make me enter into profound communion with him. Thus he also opens me to all others: we, the many, are one bread and one body, St Paul says (cf. 1 Cor 10:17). Let us seek to celebrate the Eucharist, with ever deeper dedication and zeal, let us seek to structure our days in accordance with his standard, let us seek to let ourselves be modelled by it. Breaking the bread — this means at the same time sharing and communicating our love to others. The social dimension, sharing, is not a moral appendix that is added to the Eucharist but a part of it. This stands out clearly in the verse which follows the one cited above in the Acts of the Apostles: “all who believed were together and had all things in common” Luke says (2:44). Let us be careful that faith is always expressed in love and justice for one another and that our social conduct is inspired by faith; that faith is lived in love. As the last pillar of ecclesial life Luke mentions “the prayers”. He speaks in the plural: prayers. What does he mean by this? He was probably thinking of the participation of the first community of Jerusalem in the prayers in the Temple, in the common ordering of prayer. Thus he sheds light on something important. Prayer, on the one hand, must be very personal, a uniting of myself with God in my innermost depths. It must be my struggle with him, my search for him, my gratitude for him and my joy in him. Yet it is never something private of my individual “ego” that does not concern others. Praying is essentially and also always praying in the “we” of God’s children. In this “we” alone are we children of Our Father, which the Lord taught us to pray. This “we” alone gives us access to the Father. On the one hand our prayer must become more and more personal, must touch and penetrate ever more deeply the nucleus of our “ego”. On the other, it must always be nourished by the communion of those praying, by the unity of the Body of Christ, in order truly to shape myself on the basis of God’s love. Thus, all things considered, prayer is not one activity among others, a certain corner of my time. Prayer is the response to the imperative at the beginning of the Canon in the Eucharistic celebration: Sursum corda – lift up your hearts! It is raising my life towards God’s height. In St Gregory the Great there is a beautiful saying in this regard. He recalls that Jesus called John the Baptist “a burning and shining lamp” (Jn 5:35) and continues: “burning with his desire for Heaven, shining through his words. Thus, if the truthfulness of preaching is to be preserved, loftiness of life must also be preserved” (Hom. in Ez. 1,11,7 CCL, 142, 134). We can only attain loftiness, the high standard of living that is so essential today for witnessing to Jesus Christ, if in prayer we allow ourselves to be continually drawn upwards by him towards his height. Duc in altum (Lk 5:4) – “Put out into the deep and let down your nets for a catch”. Jesus said this to Peter and his companions when he called them to become “fishers of men”. Duc in altum — Pope John Paul II, in his last years, forcefully took up these words and proclaimed them loudly to the Lord’s disciples in our day. Duc in altum — the Lord is saying to you at this moment, dear friends. You are called to undertake tasks that concern the universal Church. You are called to let down the Gospel net into the stormy seas of our time in order to obtain people’s adherence to Christ; to lift them, so to speak, from the brackish waters of death and from the darkness that the light of Heaven does not penetrate. You must bring them to life on earth, in communion with Jesus Christ. In one passage from the first book of his work on the Blessed Trinity, St Hilary of Poitiers breaks unexpectedly into a prayer: for this I pray: “that you may swell the limp sails of our faith and of our profession with the breath of your Spirit and drive me forward on the voyage of my proclamation” (I 37 CCL 62, 35f). Yes, let us pray for this for you at this moment, dear friends. Therefore unfold the sails of your souls, the sails of faith, of hope, of love, so that the Holy Spirit may fill them and grant you a blessed voyage as fishers of men in the ocean of our time. Amen.